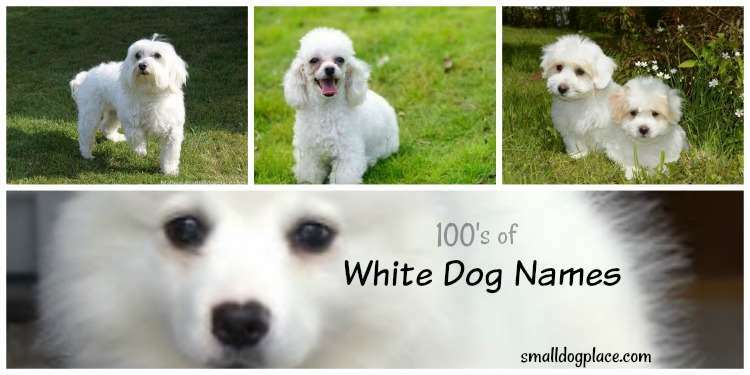 White dog names make perfect sense when you are trying to find the perfect name for your white dog. 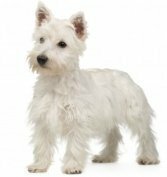 Whether you have a Westie, Maltese, Coton, Bolognese, Bichon Frise, or American Eskimo to name or one of the many other breeds that sport all white coats, a name that befits their lovely coat just makes sense. 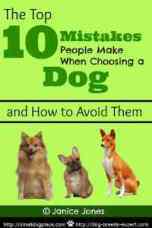 Naturally there are many other ways to find the perfect name for your new dog or puppy. You can name him based on the origin of the breed, his personality type, or after a famous dog from history or the current media. 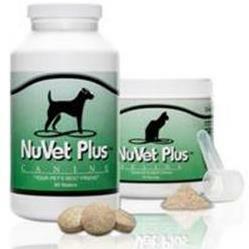 Does your white dog also have some black hair? If so, you might want to check out black and white dog names for more suggestions. Many people choose a popular girl or boy name because they view their fur baby in the same way they might a human baby. 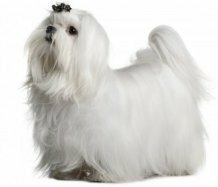 All of these approaches to naming a dog are fine and since choosing a name is a very personal decision, we have provided a list of white dog names as a way to spark your imagination and creativity. Often one suggestion, leads to another, to another, until you have the perfect name. Whatever name you choose, be sure it fits the dog and is comfortable for you and your family. Dog names are called aloud at parks and in neighborhoods. They are part of the written records kept by veterinarians, groomers, and boarding facilities. Names should be appropriate. So, how does one go about finding a perfect name for their new white puppy or adult dog. The possibilities are endless. We started with nature—things, animals, plants, whatever you might see when you look outdoors. The color white is everywhere, so brainstorming a few animals that have white coats is not difficult. 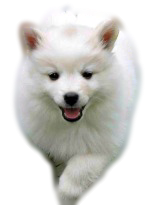 There are many white flowers if you’d like to name your puppy after a flower or a plant. Consider geranium, chrysanthemum, and jasmine, Lily or Cotton. Nature abounds with white: White Clouds, White Snow, White Icebergs, and White Glaciers. Places that conjure images of snow and ice also lend themselves nicely to dog names. Consider Alaska, Aspen, Nome, or Fairbanks. Yukon has always been a favorite name for a white dog. Check out more Alaskan Dog Names. Also, common articles found in the home might make an interesting dog name. Why not contemplate names such as Diamond, Chalky, Milky, Ivory or Dove? Many people look to dogs in history or from the popular media. 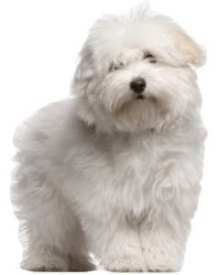 Movies, Television Shows, Books and comics all have dogs that have white coats. Also, common characters that were not dogs can lend their name to your white dog. We all remember Snoopy, but how about Bolt from the Disney film or Casper, the friendly ghost? We also use edible creations as inspiration for the perfect name. Coconut, cupcake, almond and angel food all create images of something tasty and comforting. If you are an English speaker, but would like to add a different twist, consider the word white translated into another language. 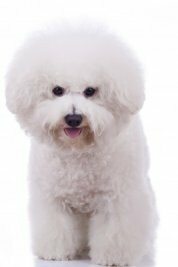 Why not choose Blanca (Spanish for White) for a Chihuahua or Blanche (French for White) for your white French Poodle? Once you’ve narrowed your list of white dog names down to just a few, how do you make the final selection? Say each name and see which one your dog responds to most. Try saying the name softly, loudly, sternly, and as if you were calling the dog from the other side of the park. If all else fails, write each name on a piece of paper and crumple it up. Throw the crumpled up paper out towards the dog and let the dog choose which name he wants. Sounds crazy, but we’ve named a couple of dogs this way only because our family couldn’t decide on the perfect name.